A disability charity says it is “disgraceful” councils are failing to take action against people misusing blue-badge parking permits. Analysis by the Press Association found 94 out of 152 (62%) local authorities in England did not pursue anyone for abusing the scheme in 2017-18. Phil Talbot, from charity Scope, said thefts of disabled permits were rising. The Local Government Association said councils had to take “tough decisions” on enforcement with limited resources. The analysis of the Department of Transport data showed the number of blue badges reported stolen totalled 4,246. It found 31 councils did not catch anyone despite claiming to have a policy for prosecuting offenders. Local authorities in Nottingham, Middlesbrough, Shropshire, Luton, Milton Keynes, Bournemouth and Reading were among those to record zero prosecutions. Martin Tett, transport spokesman for the Local Government Association, said gathering evidence and mounting a prosecution could be “time-consuming and expensive”. 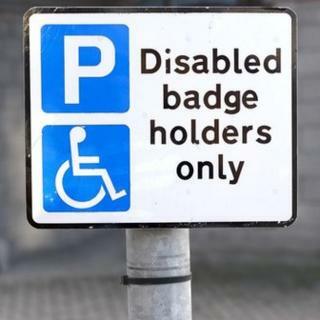 About 2.4 million disabled people in England have blue badges, which are issued by councils. Almost every case involving the 1,215 prosecutions across the country involved drivers using someone else’s blue badge. The permits allow holders to park for free in pay and display bays and for up to three hours on yellow lines, except for where there are restrictions. Blue badge holders can register for 100% discount from the London congestion charge. The largest number of prosecutions were made by the London boroughs of Hammersmith and Fulham (137) and Newham (88), with Leeds (78) in third place. Mr Tett claimed the disparity in enforcement levels across England was likely to reflect “different levels of pressures on available parking”.